Popkonstantinov is a professor and has a PhD in History. He is teaching in the Archaeology department in the St. Cyril and St. Methodius University of Veliko Tarnovo. He is a winner of the Herder Prize, which is an international prize dedicated to the promotion of scientific, art and literature relations and presented to scholars and artists from Central and Southeastern Europe whose life and work have improved the cultural understanding of European countries and their peaceful interrelations. For three years he has been leading the team which was investigating the church of St. John the Baptist on the Sv. 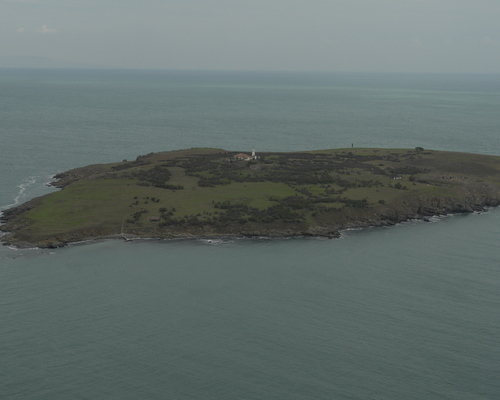 Ivan (St. John) island off the Bulgarian Black Sea town of Sozopol. 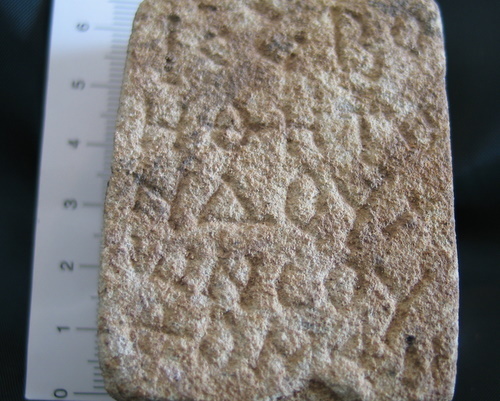 At the end of July the team found relics which they claim to be St. John the Baptist. 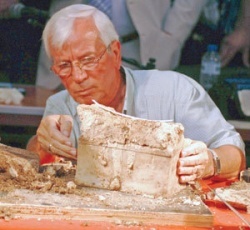 Besides an archaeologist, Popkostantinov is also a specialist in medieval Bulgarian and Greek epigraphy and his knowledges in these fields have helped him with the decryption of the ancient inscription, found near the relics. Your discovery of relics purported to be John the Baptist turned into a huge sensation. Did this help or hamper your work and the cause that you have embraced for promoting the archaeological site? For me and the team that I head, including my deputies Rusina Kostova from Veliko Tarnovo University and Tsonya Drazheva, director of Burgas Regional History Museum, the discovery of the reliquary is no sensation. We knew we could find a reliquary there and our expectations came true. We knew that because in this early stage of Christianity, after it was declared an official religion by the Byzantine Emperor Constantine, it was very likely to find one. People at that time used to put a reliquary with the relics of the patron, to whom a temple is dedicated, under the pillar of the alter table, when the temple is sanctified. It is important to stress that from this moment on the relics are invisible even for those who have placed them there, they are interred there for once and for all. These relics are not meant for drawing pilgrims to the place and this is something that part of the archaeologists and journalists obviously find hard to understand. It is for these people that the discovery of the relics is sensational. 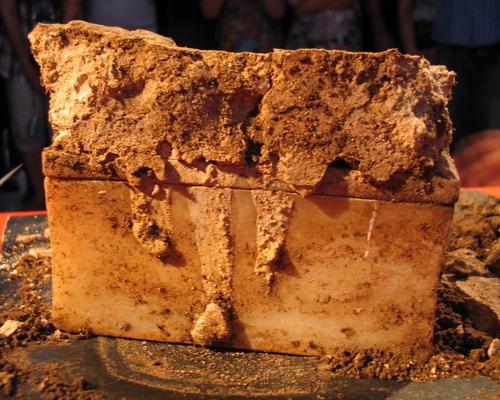 You claim that the excavation of the small container for holy relics under the altar of the basilica on Sveti Ivan, a Black Sea island off Sozopol, was as transparent as it could be, don’t you? Yes, definitely, it could not have been more transparent. It is important to point out that this is the practice of the team that I head in all other places and monasteries where we are doing excavation works. We are doing this in a bid to rule out any shades of doubt as to the way the finds have been discovered. Some could have said: “Yes, they have a reliquary with bones in it, but only God knows how they came across it.” Now they don’t have the right to say this. Is it possible to have relics of other saints in this artifact? What are the chances for an archaeologist to come across sacred relics? I don’t have any statistics at hand, but I can cite a few cases. About one hundred years ago the founder of Bulgaria’s archeology Karel Skorpil discovered in the coastal town of Varna three reliquaries put one into the other. Alexander Minchev, seven years ago, unearthed a small reliquary with relics with it. You don’t find a reliquary every day. I want to repeat once again that it was only with the aim to achieve maximum transparency and rule out any doubts that we insisted that the reliquary is opened in front of journalists and cameramen. I believe it was God who guided us just more than a meter away from the reliquary that we fist found to a tiny sandstone box with a Greek inscription: "God, save your servant Thomas. To St John. June 24”, the date, celebrated by Christians as John the Baptist's nativity. The odds for this type of discovery to happen are if not once per 100,000, once per 99,000. Right after the discovery I approached colleagues working at the Vatican and asked them about the last time relics believed to be John the Baptist were found during excavation works. 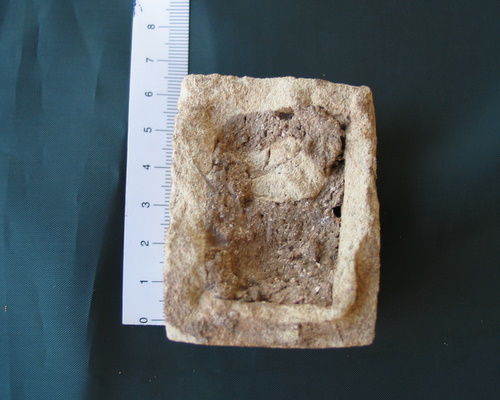 It turns out we are the first to do that for the last five hundred years, all the more so that we have a very strong proof that this is genuine, a key clue to the relics’ origin - the inscription on the box. You partly answered my next question about the significance of the discovery. In the league of which other archaeological breakthroughs would you rank these relics? The relics of John the Baptist rank among those discoveries that are of great importance not only to the Christian world. The discovery is in the same league as the Qumran manuscripts and the discoveries made in the field of Egyptology. This is the reason why world media take such a great interest in the relics, including CNN and National Geographic, who plan to make a movie about the discovery that shook the Christian world. 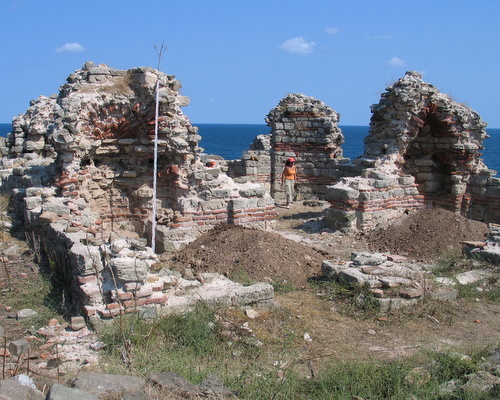 How would you comment statements by some within Bulgaria's archaeological community, who greeted the discovery on Sveti Ivan with scepticism and say more tests are needed to make this claim? I would not comment statements made by anonymous critics, who appear to be members of a newly found club - “The Club of the Anonymous Archaeologist”. Scientific discussions should not be held on the pages of newspapers or during TV broadcasts, but on the pages of scientific editions. It is only in this way that the competence of those who question my arguments can be truly judged. What tests do you plan to carry out to prove further your claim? Complex analyzes have been scheduled and these will not concern just the relics. Further tests will be done on the reliquary and its contents to establish their age, whether the fragments belong to one or more bodies. The contents of the reliquary contain strong clues that will allow us to track down the very ritual of placing relics inside it. 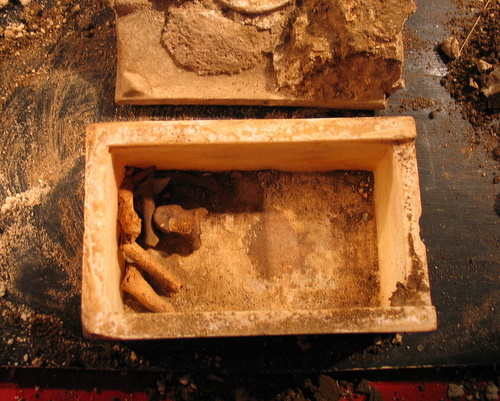 Tests will also be carried out to analyze the small box, in which the relics were initially placed, and transported probably from Jerusalem, Antiohia or Constantinople to the island of Sveti Ivan. Do you think that the purported relics could give a big boost to local tourism, drawing believers from neighboring Orthodox Christian countries? 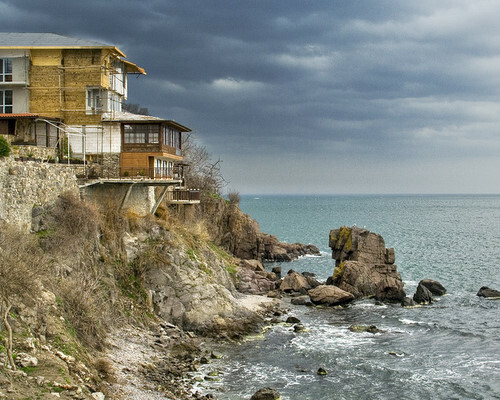 Do you believe the town of Sozopol will become the next Jerusalem? Hundreds of newspapers, magazines and TV channels around the world broke the news about the major discovery made in Bulgaria. This is the driver, which will prompt the interest of the faithful people and even of those who are not that religious in this epoch-making discovery. I concede that it is difficult to put on a par Sozopol with Jerusalem, a comparison that was invented by local journalists. It is a fact however that the discovery of the relics is a breakthrough. Sozopol is a town that also has the relics of Apostle Andrew and a small part of the holy cross. I was a witness of the great interest that the discovery of John the Baptist relics triggered among the believers not only from Bulgaria but from neighboring and other European countries as well. Now every day about 100 people come to the island, which is a huge number having in mind its size and location. 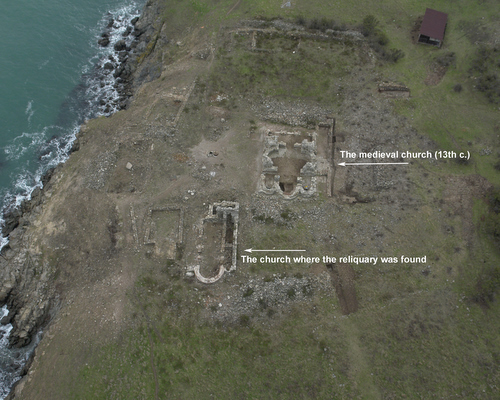 The discovery is already working its magic and Sozopol has every right to become a center for religious pilgrimages.